The statewide gas price average in Texas is $2.10 for a gallon of regular unleaded fuel, according to the AAA Texas Weekend Gas Watch. That price is nine cents less than this day last week and is 14 cents less per gallon compared to this day last year. Of the major metropolitan areas surveyed in Texas, drivers in Midland are paying the most on average at $2.72 while drivers in Sherman-Denison are paying the least at $1.95 per gallon. The national average price for a gallon of regular unleaded is $2.44, which is seven cents less than this day last week and four cents less than the price per gallon at this same time last year. 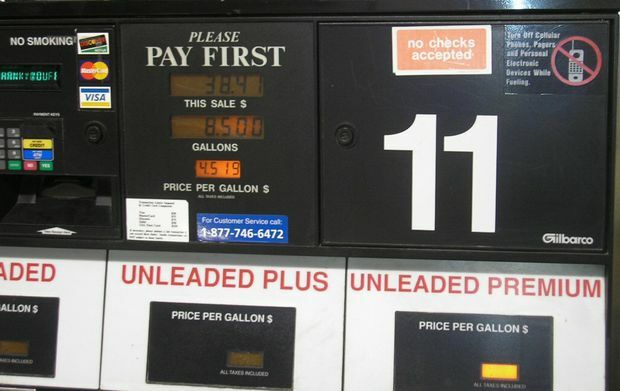 For the first time in 18 months, the national gas price average is cheaper than one year ago. Not only is today’s national gas price average cheaper year-over-year, but also is 31-cents cheaper than a month ago, and on the week, 24 states saw gas prices drop double digits. Gas prices are not only cheaper on the week, but also less expensive compared to a month and a year ago across the South and Southeast region. Month-over-month, motorists are seeing the largest savings – up to 30 cents or more/gallon, including Texas. To boot, every state in the region has at least a few stations selling regular unleaded for $2/gallon or less. On the week, oil stocks drew by nearly 950,000 barrels. The draw could likely be attributed to a high number of exports since regional refinery utilization jumped to 97 percent, according to U.S. Energy Information Administration data. With utilization up, stocks are likely to build in the coming week and keep pump prices low.